The Station Square Dental team are both qualified and highly-experienced in providing patients with root canal treatment. While root canals were once associated with long and painful procedures, we’re pleased to say that this is no longer the case. Thanks to advancements in dental technology and equipment, having a root canal is straight forward and generally pain-free. In fact, with enough anaesthetic, a root canal should feel no more uncomfortable than your average filling. 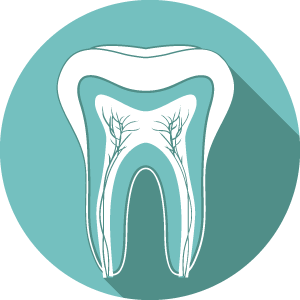 A root canal is required when the pulp (soft, living tissue) inside your tooth has become infected. This happens when decay has spread deep into the tooth, causing the pulp to become inflamed and infected. Additionally, some patients may require a root canal due to previous trauma to the tooth, which causes the tooth to die out. There is no ‘easier’ option, as the only other treatment available is to remove the tooth and get an implant. Having root canal therapy, on the other hand, allows us to save your natural tooth, preserving the function and aesthetic of your mouth. The procedure begins with the nerves and infected pulp being removed, before the inside of the tooth is cleaned and sealed. You can expect this process to happen over 2 – 3 appointments, before our dentist will schedule a follow-up appointment for you to receive a crown on the tooth. The purpose of this crown is to protect the structure of your weakened tooth, as well as to preserve the look and feel of it. Do You Require Root Canal Treatment? If you’re experiencing any dental pain or discomfort, it’s important that you make an appointment to see Dr Ron as soon as possible. Please call us today, as our friendly team are always on-hand to help.